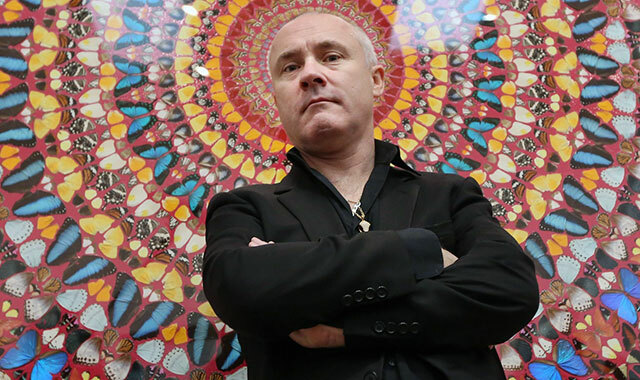 Hirst made history in 2008, when he by-passed the art galleries to become the first living artist to sell an entire show directly through auction at Sotheby’s. The sale raised $198 million and his estimated net worth today of $350 million dwarfs that of American abstract expressionist painter and sculptor Jasper Johns and Welsh portrait painter Andrew Vicari, who tie for second place with net worth estimated at $210 million, each.American artists Jeff Koons and David Choe come in at fourth place on the Wealth X ranking with an estimated net worth of $100 million, each. Choe was commissioned by Mark Zuckerberg to paint murals on the walls of Facebook’s office in 2007 and opted to be paid in Facebook stock rather than cash. This brought the graffiti artist a significant windfall when the company went public in 2012.